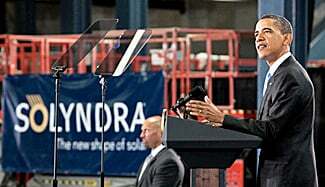 Barack Obama’s gleaming example of green technology – Solyndra – filed for bankruptcy this month. The solar panel manufacturer squandered $535 million of stimulus money in a little over a year. And, now there is evidence that Kaiser boasted about cashing in on the Obama-Pelosi stimulus back in July 2009.